Sunforest company's technology has been progressed along with NIR spectroscopic analyzer for over 10 years,. SUNFOREST is one of the leading company in the field of non-destructive measurement of fruits’ maturity and sweetness, and has successfully supplied numerous installations of non-destructive sorting systems to various fruit farms. 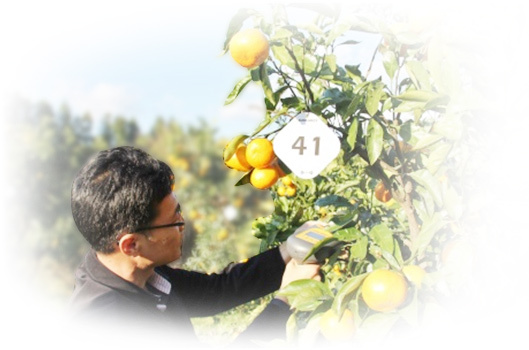 In close cooperation with Korean government agricultural institutes, SUNFOREST developed portable spectrometers that easily and non-destructively analyze internal traits (Brix, DM, Firmness, color, etc) which contribute to fruit’s quality. foremost specialist in the field of nondestructive quality analyzer. SUNFOREST will do own best effort to satisfy client’s requirement and always welcome to meet new business opportunities with great passion.